It was, of course, the Right to Life Tax, proposed by Brazil, India, China, Russia and South Africa in 2020 and passed by the UN in 2025. Committing 2% of the world's annual corporate tax revenue to households earning less that $2 a day, the Tax gave nearly half of the world's population the means to exert democracy. 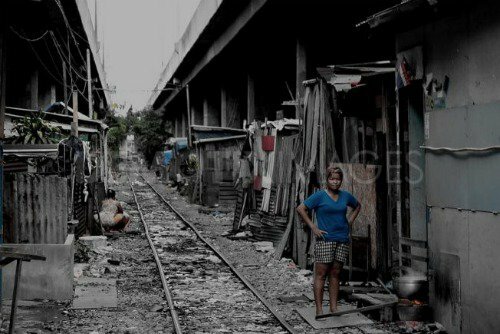 Klong Toey Slum, Bangkok, Thailand. Demotix: Matt: all rights reserved.